Nevada Governor-elect Steve Sisolak (D) — who has no gaming industry background to speak of — will need to appoint two members to the state’s important Gaming Control Board (NGCB) soon after taking office on January 7, 2019. It will be one of his first orders of business in his new role. Sisolak, a Clark County commissioner, will take over as governor with far less experience in the gaming industry than his predecessor and current governor, Brian Sandoval. Prior to taking on the top job in the Silver State, Sandoval had been both a member and chairman of the Nevada Gaming Commission. The year ahead will be a critical one for the NGCB and Gaming Commission. In response to a stream of allegations against former CEO of Wynn Resorts, Steve Wynn, that emerged only days after her appointment earlier this year, current Chairwoman Becky Harris and the NGC board sought to strengthen policies to better protect against sexual misconduct in the future. Last month, the NGCB announced a 16-point checklist to make sure gaming licensees have the appropriate “plans, policies, procedures, and training to meet minimum standards set by the board.” The modifications come to Regulation 5 – Operation of Gaming Establishments and Businesses. Should the Nevada Gaming Commission — which must sign off on the plan — agrees, casinos and other businesses licensed by the NGCB will be required to annually file the checklist with the state agency. Sexual harassment continues to be one of the most frequent complaints raised in the workplace. An anti-sexual harassment policy is a key component to sexual harassment prevention,” Harris added. The terms for Chairwoman Becky Harris and member Shawn Reid both expire on January 27. Harris — the first woman to oversee the state gaming agency — was appointed to the position in January by Governor Brian Sandoval (R) following the surprise resignation of then-Chair A.G. Burnett. A former state senator, Harris had to hit the ground running when the sexual misconduct allegations against Steve Wynn came to light just days after she took on her new post. It’s expected that Harris will be reappointed by Sisolak and continue serving alongside Terry Johnson. His term doesn’t expire until 2021. Reid, who has served on the Nevada Gaming Control Board (NGCB) since 2011, isn’t seeking reappointment. 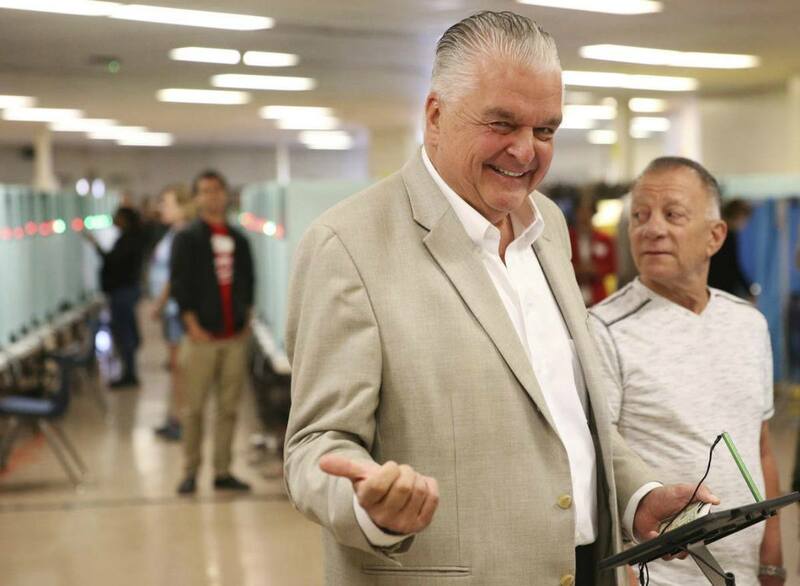 “I am retiring from state service,” the 55-year-old told the Las Vegas Review-Journal. The NGCB is the state’s investigative, enforcement, licensing, and tax arm that is under the five-member Nevada Gaming Commission. The Board has some 400 employees, and Harris’ 2018 compensation totals $158,879. Along with the two expiring NGCB terms in January, Sisolak will need to replace former US District Court Judge Philip Pro on the Gaming Commission come April 2019. Pro is nonpartisan, but three other Gaming Commission members are registered Democrats. State law mandates that no more than three people on the commission be of the same political party, so Sisolak will need to appoint a non-Democrat. Gaming Commission members serve in part-time capacities. Pro’s pay and benefits compensation totaled $46,058 in 2017. The post Nevada Governor-Elect Steve Sisolak, Casino Industry Non-Player, to Name New Gaming Control Board Appointees appeared first on Casino.org.